Toyota is a Japanese brand dedicated to serving its customers with a high degree of personalization, much like our dedication to providing customers excellent service for all your automotive needs. 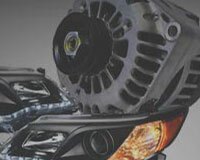 We offer a complete online catalog of Toyota T100 OEM parts and accessories at discounted prices. In order to slot into the popular American full-size pickup truck market, Toyota T100 was produced by Hino Motors, Ltd. - a Japanese manufacturer of commercial vehicles and diesel engines from 1992 to 1996 and by a renowned Japanese automotive manufacturer Toyota Motor Corporation from 1996 to 1998 in the United States as a full-size pickup truck. Originally introduced as an upsized alternative to the smaller, compact Toyota Tacoma, Toyota T100 was eventually discontinued in 1998 and replaced by the larger V8-powered Toyota Tundra though it won J.D. Power and Associates Initial Quality Survey "Best Full-Size Pickup" award and Popular Science Magazine's Best of What's New and so on. Toyota T100 made its debut in the latter half of 1992 as a 1993 model and came with two cab configurations: regular cab and Xtra cab as a 2-door pickup truck. And it was offered in three trim levels: base, DX and top-of-the-line SR5. Initially, Toyota T100 was powered by a 3.0 L V6 rated at 150 horsepower and 180 lb-ft of torque. The 1994 model year brought a 2.7 L inline 4-cylinder engine that could produce 150 hp and 177 lb-ft of torque and had better fuel economy than the V6. But a new 3.4 L V6 making 190 horsepower and 220 pound-feet of torque was available in 1995. All these engines sent power through either a 4-speed automatic transmission or a 5-speed manual transmission to the rear wheels or four wheels. 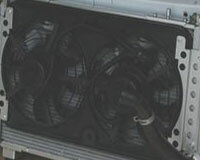 First, engine failure could be regarded as the most serious issue that Toyota T100 has ever suffered. In fact, when a vehicle is on the verge of breaking down, it is very normal that engine becomes the first part to go wrong. The right move is to diagnose and solve it as early as possible. According to some experienced Toyota T100 drivers, this issue often starts with squealing noises from the engine, evolves in misfiring, stalling or having starting issues. And usually, the failing cooling system due to leaking coolant cause engine keeps at a high operation temperature, which speeds up engine wearing so that engine performance drops dramatically and the Check Engine Light comes on. 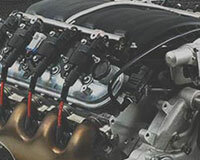 All above symptoms could be attributed to the defective T100 fuel tank, spark plug, oil filter, fuel filter, oil cooler, ignition coil, intake manifold gasket and timing belt, please get the professionals repair for you immediately. 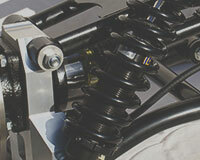 Second, braking and suspension failures are also latent dangers for Toyota T100 drivers. 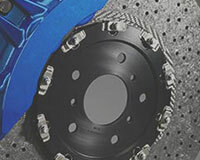 The significance of braking system is well known by everyone, and in T100, people often find after a while of driving, rear brakes may be locked up, especially on wet surfaces; and parking brake could not hold the car properly. 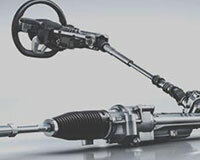 And the responsibility often goes to defective brake proportioning valve and parking brake cable. As for suspension failure, the T100 leaf spring bushing, ball joint, coil spring, coil spring insulator, and wheel bearing are often the culprits. 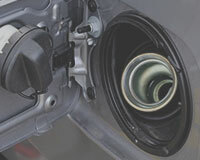 Still, the most important part in getting away from potential dangers relies on the routine maintenance of some vulnerable auto parts in Toyota T100. These auto parts are normally vital for a safe and comfortable driving trip but meanwhile fragile due to unique materials that compose of them. In your T100, they are seat belt, speedometer cable, bellhousing, door lock cylinder, fog light bulb, headlight bulb, door handle and door lock. Please maintain them routinely! Always keep in mind that OEM Toyota T100 auto parts are best for your Toyota T100 not only for fitment but also for performance. 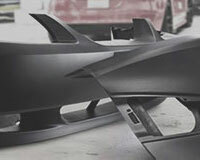 Not to mention that they also have greater assurance of quality, reliability and durability than any aftermarket parts. 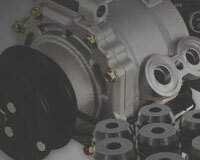 ToyotaPartsPrime.com happens to cover a broad selection of lowest-priced genuine Toyota T100 auto parts backed by the manufacturer's warranty online. All these OEM T100 parts could be returned without a hassle if you have any dissatisfaction with them even though you have just got them in intact condition at the quickest speed!